Aluízio Rosa Prata, the unforgettable “Professor Prata,” graduated in medicine in 1945, at the Faculdade Nacional de Medicina da Universidade do Brasil and became a great researcher, professor and leader who deeply influenced the development of tropical medicine in Brazil and in all Latin America. Emeritus Professor at the University of Brasilia and the Federal University of Bahia, Professor Prata died aged 91 in 2011, as a Full Professor of the Faculdade de Medicina do Triangulo Mineiro, in Uberaba, Minas Gerais. Over a 60-year career he published about 500 works including journal articles, conference abstracts, books, book chapters as well as theses and dissertations, lectures, etc. He also worked for various funding agencies in Brazil and abroad. His main lines of research were the Schistosomiasis, first, followed by Chagas disease, and other infectious and parasitic diseases. Professor Prata has always been innovative and, in places where he worked, Federal University of Bahia, Tropical Medicine Center at the University of Brasilia and University of Triangulo Mineiro, he created research groups that enabled the integration of clinical with basic research and training new leaders and competent professionals, many of them are now scattered throughout Brazil, Latin America and some African countries. One of the most important contributions of Professor Prata, his own style of teaching, showed us that to fully understand infectious diseases, it is necessary a a comprehensive and integrated vision of the hospital, the patient and their social reality. His determination and ability to bring people together, always seeking the return to the local communities, resulted in numerous clinical projects, epidemiological and longitudinal studies on various tropical diseases. Owner of an outstanding personality, he was determined and restless, but serene, kind, generous and tolerant. He preached that work, teaching and research must be sources of happiness! Unaware of the meaning of the word No, for always he found solutions to everything. At eighty years old, built dreams for 10 or 20 years and used to say, smiling, that … “I will not be here anymore, but you will live and to continue these projects.” His former students can say, however, that Professor Prata was wrong this time, since he continued living and present in every achievement of those who had privileged to learn from him! Carlos Ribeiro Justiniano Chagas was born on a farm in the city of Oliveira, Minas Gerais, in 1878. In 1903 he graduated in medicine at the Faculty of Medicine of Rio de Janeiro, dedicating himself to the study of malaria under the supervision of Oswaldo Cruz, who worked at Institute of Manguinhos. Because Carlos Chagas proved to be a very skilled researcher, Oswaldo Cruz invited him to work in a project aimed at fighting the malaria epidemic that was ravaging workers at Companhia Docas de Santos in Rio de Janeiro. Thanks to his intelligence and observation capacity, Chagas realized that the mosquito usually lost its power of flight after a blood meal and thus proposed a strategy of vector control based on residential disinfection instead of fighting the mosquito larva. This procedure suggested by Carlos Chagas became the forerunner of the current methods of vector control that is focused on the fumigation of households. In 1909, Oswaldo Cruz indicated again his collaborator Carlos Chagas to combat malaria in Minas Gerais where the construction of the Central Railroad of Brazil was taking place. In a small laboratory set up to study malaria in the city of Lasance (MG), Chagas identified a Trypanosoma parasite in marmoset blood and subsequently found the same microorganism in the gut of insects. He then sent some infected triatomine bugs to the Institute of Manguinhos and asked Oswaldo Cruz to feed the insects in marmosets. From this moment he not only identified a new species of pathogen, naming it Trypanosoma cruzi in honor of his supervisor, Oswaldo Cruz, but also described its complete life cycle in nature and the disease it caused, called “Chagas Harassment”, as suggested by Miguel Couto. 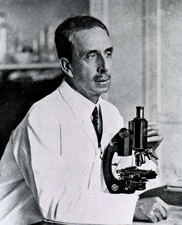 The discovery of Carlos Chagas is today recognized as an exceptional achievement since this new disease, which is still relevant for much of the Latin America population, was described along with the determination of its etiologic agent, transmission mechanisms, clinical forms and epidemiology. Chagas was recognized with several prestigious awards such as the Schaudinn Medal, the top honor in the field of tropical medicine at the time, and became member of the the Brazilian National Academy of Medicine at age 31, the same Academy that would a few years later take part in an unfair and groundless dispute regarding his biggest scientific discovery, known today as Chagas disease. For reasons that are still not well understood, Chagas did not receive the Nobel prize in 1921 for which he was nominated, and for which there was no winner in that year. Several hypotheses and predictions Carlos Chagas made about Chagas disease or American Trypanosomiasis were further elucidated and much more thoroughly investigated today with the advancement of molecular techniques, endorsing the name of Carlos Chagas as a scientist ahead of his time and certainly one of the largest among all Brazilian scientists. Conceição Ribeiro da Silva Machado graduated in Medicine in 1964 from the Federal University of Minas Gerais (UFMG), where she also completed her doctorate, in 1965. Between 1965 and 1967, she was a postdoc at the Northwestern University, in Chicago, where she studied the pineal gland of mammals. 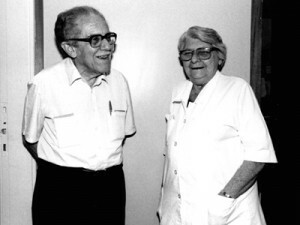 She joined UFMG in 1965, when he assumed the chair of Histology and Embryology, at the Faculty of Medicine. 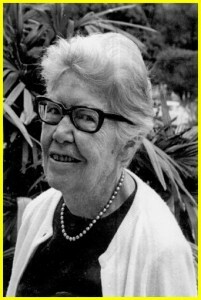 In the early 70s, with the creation of the Institute of Biological Sciences (ICB), she and Professor Angelo B. Monteiro Machado created the Laboratory of Neurobiology in the Department of Morphology of ICB, where she coordinated various research projects and mentored many students working in projects primarily related to the study of Chagas disease and its effects on the nervous system. She was the first director of the Post-Graduate Program in Morphology (today Cell Biology) of UFMG, which was created in 1973, and she also served as program director for 2 more terms. She was the regional secretary and a member of the Board of Directors of SBPC and served as president of the Brazilian Society of Cell Biology from 1980 to 1982. Profa. Conceição Machado was also a member of the of the Biological Sciences and Health advisory committees of Fapemig, CNPq and Capes. In 1991, she retired as a Full Professor, but continued performing various research activities and mentoring graduate students. 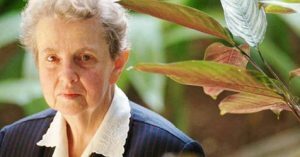 In 1994, she became a full member of the Brazilian Academy of Sciences, and three years later she received the title of Emeritus Professor from UFMG. Profa. 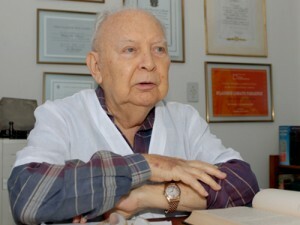 Conceição Machado was also honored in 2002 with the National Order of Merit Scientific, “Comendadora” category and in 2006 received the Medal of Merit for Research from the Department of Health of the State of Minas Gerais. In August 2007, after showing all her bravery during a long period of illness, Conceição died, leaving a huge scientific legacy, a large number of scientific descendants, including students and collaborators who had the privilege to learn Science with her and a set of unforgettable memories with all of us who knew her. Darcy Fontoura de Almeida was born on 07/19/1939 in Rio de Janeiro and graduated in Medicine in 1954 by the University of Brazil. He began his scientific career as a student in the Biophysics Laboratory directed by Carlos Chagas Filho. Later, he went to the Medical Postgraduate School in London, where he worked under the supervision of Ernst Chain (Nobel Prize 1945). Returning to Brazil, he dedicated to the genetics of microorganisms, being one of the country’s leaders in this field. In the areas of genomics and bioinformatics, he played an important role in the formation of researchers and the creation of the Unit for Computational Genetics of the National Laboratory for Scientific Computing, which now bears his name. His interest in Protozoology occurred after discussions at the seminars of the Department of Cellular Biophysics of the Biophysics Institute, especially the study of the changes of the developmental forms in trypanosomatids (Herpetomonas samuelpessoai and Trypanosoma cruzi), a subject that has given rise to some papers and thesis held under his supervision. He became an assiduous attender of the scientific meetings in Caxambu, being the organizer of an annual meeting. Impossible not to highlight the aspect of “archivist and historian” of Darcy, whose famous notebooks recorded everything and that now constitute valuable source of information. In addition to the scientific activity, Darcy dedicated intensely to the Brazilian Society for the Advancement of Science, SBPC, advocating the Science, always threatened by government funding cuts. He also dedicated to scientific broadcast, playing important role in the creation of the journals ‘Ciência Hoje’ (1982) and ‘Ciência Hoje das Crianças’ (1986) and the ‘Jornal da Ciência’ (1985). 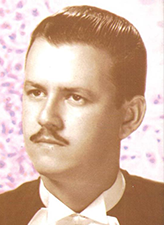 Firmino Castro Torres (01/01/1920), physician (UFPE-1942), was one of the pioneers of Molecular Protozoology in Brazil. He began to work in Protozoology at the Oswaldo Cruz Institute (1946) and became a researcher at the institution in 1949. He was Professor of Biochemistry at the Federal University of Rio de Janeiro – UFRJ. Subsequently he transferred to the Biophysics Institute at UFRJ and created the Macromolecular Metabolism Laboratory, which took its name in 1990. In research, he worked with the RNAs and protein metabolism of Tetrahymena pyriformis. With Trypanosomatids, his work on cell fractionation are classic. Among several initiatives stand out: in 1976, “Workshop on Eukaryotic Molecular Biology” a hallmark of the area in the country. In 1981, he cloned the genome of Trypanosoma cruzi, paper presented at the Tenth Meeting of the Brazilian Biochemistry Society, SBBQ. 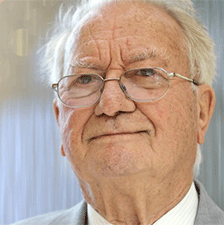 In the years 80-90, he has made great contributions in the research on Heat Shock Proteins and tubulin. As a teacher, he formed numerous researchers who are leaders today. In political science, he served in the UFRJ and CNPq. He participated in the creation of the Advisory Committees (AC) and was member of the first Biochemistry-Biophysics, Physiology, Microbiology-Immunology-Parasitology AC. He participated in the creation of the Integrated Program of Endemic Diseases (PIDE) that renewed Parasitology in the country leveraging various sub-areas, such as Molecular Biology of Parasites. It was the PIDE that led to the successful Annual Meeting on Basic Research in Chagas Disease. In 2007 he received the CNPq Emeritus Researcher distinction. Firmino was averse to the demonstrations that exalted his qualities, striking feature and consensus among those who knew him. He had at his side the researcher, physician and wife Jacy Faro de Castro, enterprising and strong personality, actively participated in all his accomplishments. Retired at 70, he died at 91, on 20/03/2011. Dr Herbert Tanowitz, a Professor in the Departments of Pathology and Infectious Diseases at the Albert Einstein College of Medicine College, NY, USA, died in July 2018. A passionate and dedicated physician-scientist and mentor, Dr. Tanowitz was cherished by many colleagues and friends he had all over the world. An investigator of infectious diseases that are present worldwide, Dr. Tanowitz was dedicated to the study of parasites, and in particular for his work on the pathogenesis of Chagas’ disease caused by Trypanosoma cruzi. His work was focused on the pathogenesis of cardiac Chagas disease and the consequences of T. cruzi infection and the pathophysiology of the host-T. cruzi interaction. Doing that, Dr. Tanowitz has collaborated with several Brazilian researchers. Herbie, as he was called by several researchers, also served as director of the “Forgaty International Training Grant” a program aimed at training students and postdoctoral fellows from Brazil in research methods on infectious diseases and geographic medicine. 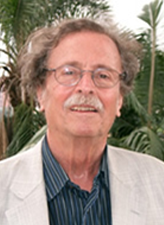 In recognition of his contributions in Brazil, Dr. Tanowitz was elected member of the Brazilian Academy of Sciences in 2009 and in 2011, he was awarded the Walter Colli Award during the 27th annual meeting of the Brazilian Society of Protozoology. Hertha Meyer was born on May 3, 1902 in Germany where Hertha Meyer was born on May 3, 1902 in Germany where she had her basic education and with 19 years old began her professional activity as a specialized technician at the Robert Koch Institute for infectious diseases in Berlin. Later, she worked at the Institute of Pathology of the University of Berlin and at the Kaiser Wilhelm Institute for Medical Research, where she interacted with researchers of the level of Otto Meyerhof and Richard Kuhn, both holders of the Nobel Prize. At this stage, she published important papers on the biology of the tumor cell. With the onset of the persecution of people of Jewish origin, Hertha Meyer migrated to Italy, integrating the group led by Giusepi Levi at the University of Turin. There, she assisted in the orientation of medical school students, highlighting Renato Dulbecco, Salvador Luria and Rita Levi-Montalcini, who were later awarded the Nobel Prize. When the persecution reached Italy, she migrated to Brazil where she worked at the Oswaldo Cruz Institute and later at the Institute of Biophysics of the Federal University of Rio de Janeiro. She pioneered the development of the methodologies for the intracellular cultivation of Trypanosoma cruzi (in collaboration with Cecilio Romaña), Toxoplasma gondii (in collaboration with Felipe Nery Guimarães) and Plasmodium gallinaceum (in collaboration with Lobato Paraense). Her work opened the door to the study of the intracellular forms of pathogenic protozoa. She pioneered the use of electron microscopy to study the ultrastructure of several protozoa, describing structures such as the subpellicular microtubules and the mitochondria-kinetoplast connection. She died on August 30, 1990. 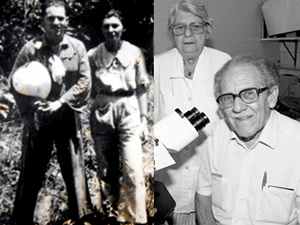 Leonidas and Maria Deane are among the researchers who most influenced contemporary Brazilian Parasitology. These two inseparable researchers have always worked on parasitological problems from a very elaborate and clever naturalist perspective. They began their scientific career when recruited by Evandro Chagas for the campaign against the Anopheles gambiae and the large malaria epidemics of years 1930-40 in the Northeast. Throughout his career, Leonidas thoroughly examined the wild reservoirs of Trypanosoma cruzi and its vectors, extending his studies to several other trypanosomes of wild animals, especially bats and primates. Maria tried to understand the T. cruzi cycle in these reservoirs, particularly in Opossum. Both always looked the Chagas endemic as naturalists and as sanitarists and never stopped struggling and acting politically for means of controlling our endemies. Leonidas had a significant role in the characterization of visceral leishmaniasis in the Northeast. Maria and Leonidas were scientific leaders in the main Parasitological Schools of the twentieth century in Brazil, that of Samuel Pessoa, at São Paulo University, and that of Amilcar Viana Martins, at the Federal University of Minas Gerais. They had enormous international prestige and have always been recognized as intellectuals of the most solid and honorable personality. They ended their scientific activity only with death, while still researching at the Oswaldo Cruz Institute, Rio de Janeiro. 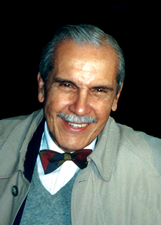 The name of Professor Luiz Hildebrando Pereira da Silva will always be a reference in the study of tropical diseases. 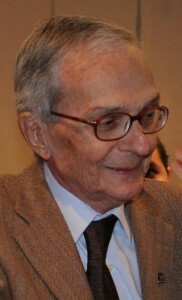 Prof. Hildebrando was a Professor Emeritus of the Faculty of Medicine from the University of São Paulo and from the Federal University of Rondônia, was the director of The Experimental Parasitology Unit at the Pasteur Institute in France and, since 2003, he was the director of The Institute of Tropical Pathology of Rondônia (Fiocruz, Rondônia). He published more than 150 scientific papers, most of them about malaria and also published several books, including “Subversive Chronicles of a Scientist.” When he died in September 2014 when he was 86 years old, Prof. Hildebrand, who was still working actively in several research projects, left a huge void in the scientific community of our country. The following testimony given by Prof. Victor Nussenzweig describes very well the great personality of Prof. Hildebrando: Hildebrando and I were friends since the age of 11 when we were admitted to the primary school in São Paulo and later as colleagues at the Medical School where we frequently dissected dead bodies preserved in formol while reading an Italian book of anatomy. In 1945 we both engaged in the collective enthusiasm when the Nazis were defeated with the important contribution of the Soviet Union. Luiz and I admired Prestes and Stalin. During the celebration of Stalin’s 70th birthday, I was arrested while doing pamphlet distribution. Later, after the Russians invaded Hungary, I pulled away from the Communist party but Luiz accepted the invasion as a strategic necessity and remained as a militant until the end of his life. Luiz was a genuine patriot. Until the end of his life he went on studying the epidemiological features of malaria in the amazon region. He left a director position at the Pasteur Institute in Paris to develop a research center in Rondonia, where undergraduate, masters and PhD students were trained. I believe those were his major contributions to the development of Brazil. Professor Mauricio M. Rodrigues, a member of the family of Brazilian protozoologists, immunologists and vaccinologists, was an Associate Professor at the Federal University of São Paulo and the Coordinator of the National Institute of Technology and Vaccine Development, INCTV. Maurício was surely one of the Brazilians researchers who most contributed to the understanding of the immunological mechanisms of resistance to diseases caused by protozoa, especially Chagas disease and malaria. 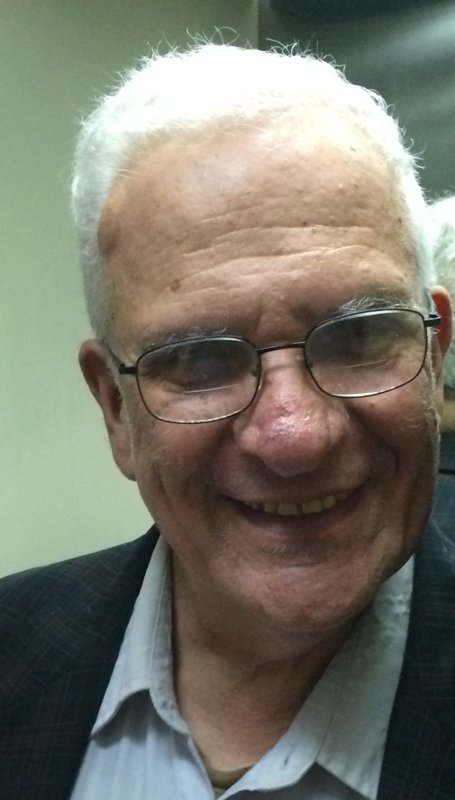 Having taken his first steps at the annual meetings of the Brazilian Society of Protozoology and the Brazilian Society of Immunology in Caxambu, Mauricio was an undergraduate student of Professor Julio Scharfstein, master and PhD student of Professor Marcello Barcinski at UFRJ, where he obtained his PhD in 1989. He completed his postdoctoral studies at New York University School of Medicine between 1989 and 1991 in Dr. Ruth Nussenzweig’s group, where he also served as an Assistant Professor, between 1991 and 1993. After returning to Brazil in 1994 he assumed the position of Associate Professor at UNIFESP, where he created a group that became a reference for studies on the development of vaccines against parasitic diseases. As the coordinator of CINTERGEN- Interdisciplinary Center for Gene Therapy, at UNIFESP, Professor Maurício worked on the development of the most advanced technologies for obtaining a vaccine against Chagas disease and malaria. His work on the immune response to these parasitic diseases contributed in an extraordinary way to the advancement of knowledge in this area, with a primary focus on the understanding of the biology of CD8+ T lymphocytes and immune memory. 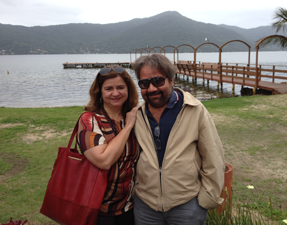 Maurício Rodrigues was a CNPq Researcher level 1A and has published more than 120 works of international impact. He mentored many students, several of them have currently faculty positions in various universities and research centers such as FIOCRUZ. His legacy is immense and his capacity of facing adversities was a great example to all of us. 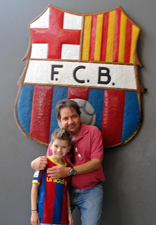 After he passed way, in June 23, 2015, his absence began to be felt by many of his friends and colleagues who miss him enormously at every meeting of the Brazilian scientific community. In particular, we will miss his brilliant, critical sense and humor, often “acid”, but always constructive and his unquestionable intention to contribute to the advancement of science in Brazil. Oswaldo Cruz was born on 05/08/1872 in St. Louis Paraitinga, São Paulo where he lived until 1877 when, along with his family, he moved to Rio de Janeiro. He began his medical degree at Rio de Janeiro´s Faculty of Medicine of Rio when he was only 15 years old and in 1892 graduated with a thesis entitled “Microbial dispersion by the water.” Four years later he traveled to France where he specialized in bacteriology at the Pasteur Institute in Paris. He returned to Brazil in 1889 and took up the post of technical director of the Federal Serum Therapy Institute that latterly became known as the Experimental Pathology Institute of Manguinhos and then Instituto Oswaldo Cruz. During this period he concentrated on the production plague vaccines, basic research and training of human resources. Appointed Director General of Public Health in 1903, a position that currently corresponds to the Minister of Health; he initiated monumental public health campaigns to combat the bubonic plague, smallpox and yellow fever. He proposed patient isolation and compulsory vaccination, measures that generated very strong opposition from politicians, some segments of the population and various newspapers. This finally erupted in a popular rebellion at Praia Vermelha Military School, with repercussions throughout the city, known as the Vaccine Revolt. The government defeated the rebellion, but suspended the mandatory vaccination. In 1909, Oswaldo Cruz left the General Directorate of Public Health, dedicating himself to the Institute that was named in his honor. 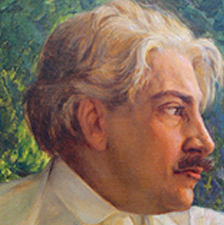 In 1913 he was elected to the Brazilian Academy of Letters. In 1915, because of poor health, he resigned as director of the Oswaldo Cruz Institute and moved to Petrópolis. Due to renal insufficiency, Oswaldo Cruz died prematurely on February 11, 1917, at age 44. On the 5th April 2015 Brazil lost one of its outstanding protozoologists, Prof Ralph Lainson OBE FRS. He arrived at Evandro Chagas Institute in Belém, Pará in 1965 and spent the rest of life there exploring the parasites of the Amazonia fauna. He is perhaps best known for his seminal works on leishmaniasis but besides this he discovered new families of blood and faecal parasitic protozoa. Without doubt he was the world expert on the coccidia and haemoparasites of American wild animals and his paintings of them are works of art. His patience in unraveling their life cycles was unrivalled and this flowed over into his personnel life. His example launched many young workers on an unending journey into the world of parasitic protozoology. Ruth Sonntag (maiden name) was born on June 20, 1928 in Vienna. Daughter of Jewish physicians, the family emigrated to Brazil after the invasion of Austria by Nazi Germany in 1938. In São Paulo, Ruth joined the medical course of the University of São Paulo with the aim of becoming a scientist. It was in college that she met her future husband and companion Victor Nussenzweig, a fellow medical student. The couple married in 1952 and upon completion of the medical school they were hired by the University as associate professors. In the 1960s, the couple immigrated to the United States where they went to work at the New York University in separate laboratories. Ruth has devoted her scientific career to studies for the development of a vaccine against Malaria. She discovered the circumsporozoite surface protein (CSP) of Plasmodium and the main target of the anti-malarial vaccine. 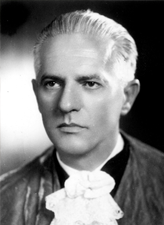 In his speech to assume the position as Cathedratic Professor in Parasitology, in 1931, Samuel Pessôa proposed to “…give always the highest priority to the real nosologic problems of the Brazilian population”. Later, in his speech to the students graduated in 1940, in the Faculty of Medicine, he appealed those students: “work, work for this ideal — the improvement of the health of our people”. These two expressions reflect the ideas of Prof. Samuel Pessoa on the role of the physicians, and as a consequence, the researchers devoted to Public Health problems, particularly those related to parasitic endemics. Samuel Pessôa was a tireless campaigner in the fight against Brazilian rural endemic diseases, as well as their causes and social consequences, as registered in his book “Ensaios Médico-Sociais”. His positions inevitably led him to the left of the political scenario, and led him to transmit this position to his students and assistants. In the Faculty of Medicine of São Paulo, Samuel Pessoa founded the most prestigious school of Parasitology in our country. Samuel brought back to his Department (the so called “Red Department” of the aristocratic Faculty of Medicine) renowned researchers that became worldwide respected due to their contributions in basic parasitology and parasitology applied to Public Health. After his retirement, Samuel Pessoa, went back to his interests as a naturalist. At the Butantan Institute, he studied hematozoa and trypanosomes of snakes and frogs. His career was entirely dedicated to the knowledge and the transmision of knowledge, as proven by the 11 editions of his book “Parasitologia Médica”. Among his disciples should be mentioned names as Ayroza Galvão, João Alves Meira, Joaquim Alencar, Mauro Pereira Barreto, Leonidas de Mello Deane, Maria P. Deane, Luis Rey, Dácio do Amaral, Victor Nussenzweig, Ruth Nussenzwig, Luiz Hildebrando Pereira da Silva and Erney Camargo. Wladimir Lobato Paraense integrates parasitologists distinguished group from Pará state, which also includes Leonidas Deane, Maria Deane and Ralph Lainson (this an honorary member). He was born on 11/16/1914 in Igarapé-Mirim, began medical school in Belem and concluded the course in Recife in 1937. He specialized in Pathology at the USP Faculty of Medicine. In 1939 he joined the Oswaldo Cruz Institute where he developed exceptional academic career and conducted important research, both in the fields of Malacology and Protozoology. In the former area, he was responsible for conducting a detailed study of the distribution of freshwater shellfish, especially schistosomiasis transmitters in the Western Hemisphere. He identified and described many new species of mollusks. In the field of Protozoology, to which he devoted himself early in his career between 1939 and 1947, he made important studies of malaria parasites. The studies of the Plasmodium of birds, especially P. gallinaceum and P. juxtanucleare, are noteworthy. Along with Hertha Meyer, he pioneered the in vitro cultivation of the extra-erytrocyte form of P. gallinaceum, publication that caused quite a stir. Throughout his career, he interacted with Evandro Chagas, Adolfo Lutz and Jorge Lobo. 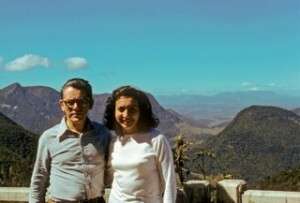 In 1969 he went to the University of Brasilia, but returned to the Oswaldo Cruz Institute, where he assumed the Research Vice Presidency between 1976 and 1978. He continued his research activity in the field of Malacology until his death on February 11, 2012. Professor Zigman Brener, a single child of poor immigrants from East Europe, was born in Sao Paulo in 1927 and became one of the most important world leaders in the study of Protozoan parasites. His interested in scientific research began during Medical School, at the Federal University of Minas Gerais (UFMG). After graduation, he practiced private medicine for one year and closed his office to dedicate to science, working mostly with biology of Trypanosoma cruzi, with human Chagas disease, Leishmania and leishmaniasis, Schistosoma and shistosomiasis. Earlier in his career, he spent one year as a visiting scientist at the Hoffman-LaRoche Pharmaceutical Laboratories, in Switzerland, where he developed models for parasitic diseases research. His first academic appointments, in 1956 as an assistant Professor at UFMG and a researcher at the Centro de Pesquisas Rene Rachou (FIOCRUZ) allowed him to conciliate research and teaching in these two institutions. In 1968, after the creation of the Institute of Biological Sciences at UFMG, he became the head of the first Post-graduate Program in Parasitology in the country. He published more than 200 high quality papers and three books which are international references of the study of Chagas disease (Trypanosoma cruzi and Chagas disease, first edition 1979; second 1999; and Chagas Disease American Trypanosomiasis: its Impact on Transfusion and Clinical Medicine (1992). He acted as a supervisor of 26 Master and Doctoral students, most of them became well known experts in their fields. In 1994, he became Emeritus Professor of the Department of Parasitology at UFMG. He was married to Adélia Brener and had two daughters, Stela and Marta. Professor Brener passed away on September 23, 2002. Together with his scientific legacy, his endearing personality, charisma and passion for Science made all of us, members of the SBPz, his scientifc descendents. Because of that, an Award with his name was created for the best posters presented at the Annual Meeting of our Society.